This name ties together Greek myth, the night sky, and so much more – in just four syllables! 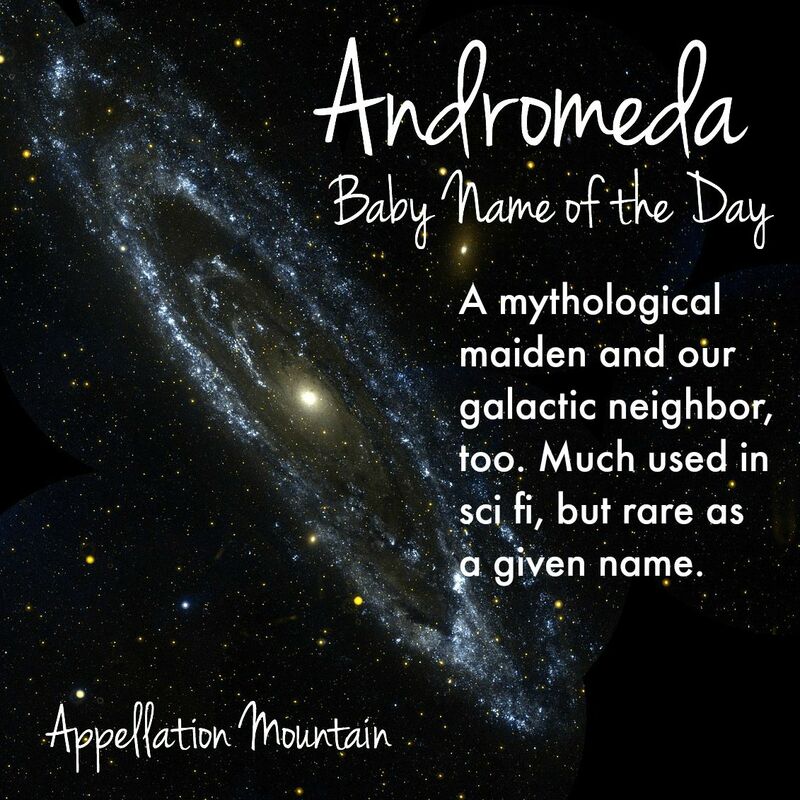 Thanks to Kathleen for suggesting Andromeda as our Baby Name of the Day. If you’ve seen Clash of the Titans, you know Andromeda’s tale. She’s chained to a rock, a sacrifice to an angry god. Before a sea monster can devour the princess, Perseus sweeps in and rescues her. The original myth is pretty similar. The princess must be sacrificed because her mother, Queen Cassiopeia bragged that her daughter was the fairest in the land, prettier than even Poseidon’s daughters. We’ve been tying vulnerable maidens down ever since – think of Nell on the railroad tracks as a monstrous train approaches, until Dudley Do-Right saves the day. Despite her damsel-in-distress status, Andromeda’s name has a strong meaning: ruler of men. 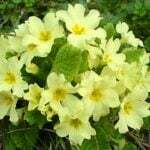 It’s said that she and Perseus married, had nine children, and founded a dynasty – the rare happy ending in Greek myth. There are two night sky associations for this name. 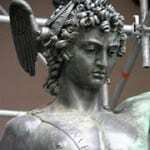 A constellation called Andromeda dates to at least the second century, when Ptolemy included it on a list. Then there’s the Andromeda Galaxy, bright enough to be seen by the naked eye on some nighs. A Persian astronomer described it in the 900s, and it was formally observed by German astronomer Simon Marius a few centuries later. Andromeda is a near neighbor to our own galaxy, the Milky Way. So perhaps the next part is no surprise. Back in 1961, BBC miniseries featured scientists receiving a signal from another galaxy, with instructions to build an advanced computer. The computer then tells them how to build a woman – Andromeda, played by Julie Christie. Disaster follows. Michael Crichton’s breakout novel used the name in 1969. The Andromeda Strain was about a deadly microorganism that hitched a ride back to Earth on a satellite. The sci fi series that you might think of first was inspired by the work of Star Trek creator Gene Roddenberry. Originally aired from 2000 to 2005, Andromeda was the story of High Guard Captain Dylan Hunt and the crew of his shop the Andromeda Ascendant. There’s no person by the name, but the crew calls the ship’s computer system Rommie. There have also been a handful of comic book characters, including a resident of Atlantis in the Marvel Universe. And then there’s Anna, in Jodi Picoult’s My Sister’s Keeper. She’s actually Andromeda. The story tells us that Anna’s dad was motivated by his love of astronomy, but the name feels more significant given the plot. So we have a spaceship, a superheroine, and a sacrifice. Are there any real girls with the name? 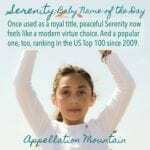 At least five girls have been given the name most years since 1970, with a few recorded earlier. In 2014, the name reached a new high: 54 newborn Andromedas. And why not? We’ve embraced longer names, like Isabella and Olivia. 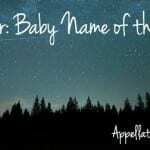 Night sky names, from Luna to Stella, are popular. 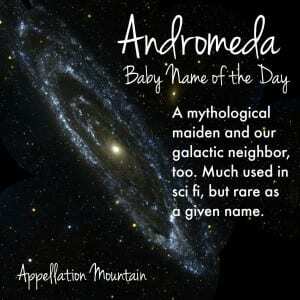 Andromeda is elaborate, but nicknames abound: Andi, Annie, Ana, Anna, Rommie, Dree, Meda, and my favorite, Romy. 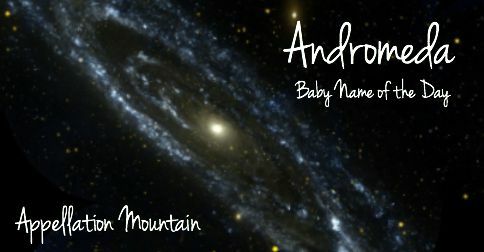 If you’re after a longer name for a girl, and want something that’s both rare and rich in story, Andromeda is one to consider. What do you think of Andromeda? Is five syllables just too much? Our daughter was born in 2011. She loves her name and she loves the shortend version Andi. I named my Child Andromeda…she was born in 2016. We love it! I like this. Although long with more syllables than I might typically care for, it still comes across as a spare name rather than frilly. I like this name! With the nickname of Romy, it’s brilliant. Like Sara, I think the Harry Potter link has helped give Andromeda a bit more light. I wouldn’t be surprised if Harry Potter was an influencing factor on the rise of the name — isn’t Tonk’s mom named Andromeda? I read this as four syllables. How are you saying it with five? I think I was braindead when I proof-read this one … yes, only four!